Ellen Cuylaerts relocated from Belgium to the Cayman Islands in 2009. She has a master degree in modern history and education but ended up working in IT until she decided to home school her two gifted teenagers, relocating and taking up scuba diving in June 2011. Soon she became a Master Scuba Diver and combined it with photographing the wonders of the underwater world. Her main drive is shooting images that draw the viewer in, so an emotional bond is established between marine life and people that might not have a link with the underwater world. By creating an image that captures how she feels rather than what she sees, Ellen hopes to get people involved in protecting our blue planet. 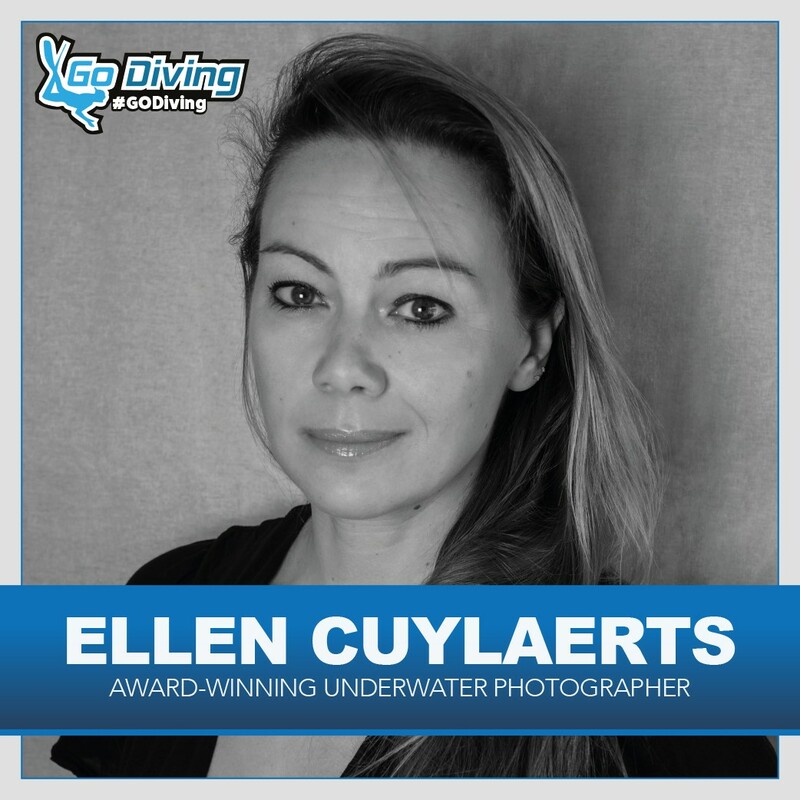 Ellen has received many awards for her pictures and was the 2013 World Champion in an annual online underwater photo competition, and in June 2014 and again in 2015 she came first and second in the United Nations’ World Oceans Day Photo Competition. Those competitions have helped her to make her voice in conservation louder and also to mentor more people to use their images to contribute to education, preservation and awareness. Ellen’s work can be seen in exhibitions in Paris, St Petersburg, Valencia, Marseille and New York. In June 2017 she addressed Heads of State on World Oceans Day at the General Assembly of the United Nations, highlighting the plight of photographers and film-makers engaging in protection of the oceans. As a Fellow Explorer International, Ellen became a member of the Flag and Honours Committee of the Explorers Club, hence having a front seat at future explorations! She tries to bring people together to work in a constructive way to ‘be the change you want to see’. GO Diving show – book your tickets now and win big prizes! GO Diving – are you set to get wet?